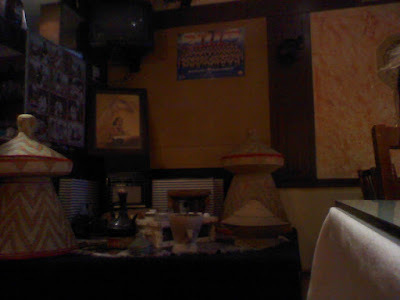 I'd tried Ethiopian food once before I had visited Lalibela, and have tried one other restaurant serving food from this part of Africa, so it is hard for me to say how authentic it is... The menu starts with a description of the cuisine and how it is presented and eaten. We ordered the mix of vegetarian dishes and a lamb curry, as can be seen these were served on the injera bread. We ate it with our hands following the tradition (and because you don't get any cutlery). Both the meat and vegie curry's were tasty in a distinctive way. 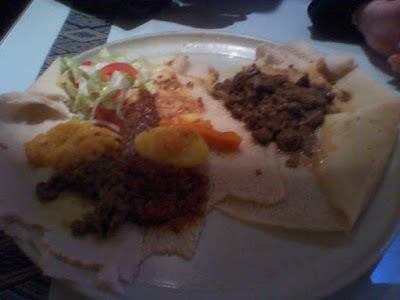 Grabbing the food with the injera bread is a great way to eat in my opinion, but once the bread starts to get soggy and cools it can put people off. 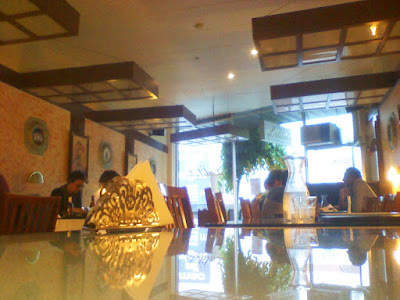 Cafe Lalibela is a great place to eat, and pretty keenly priced, our meal came to $31 including corkage, there are good imported Ethiopian beers on offer too.